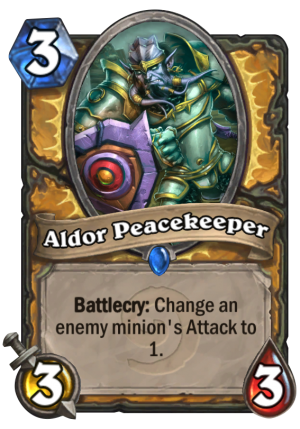 Aldor Peacekeeper is a 3 Mana Cost Rare Paladin Minion card from the Classic set! 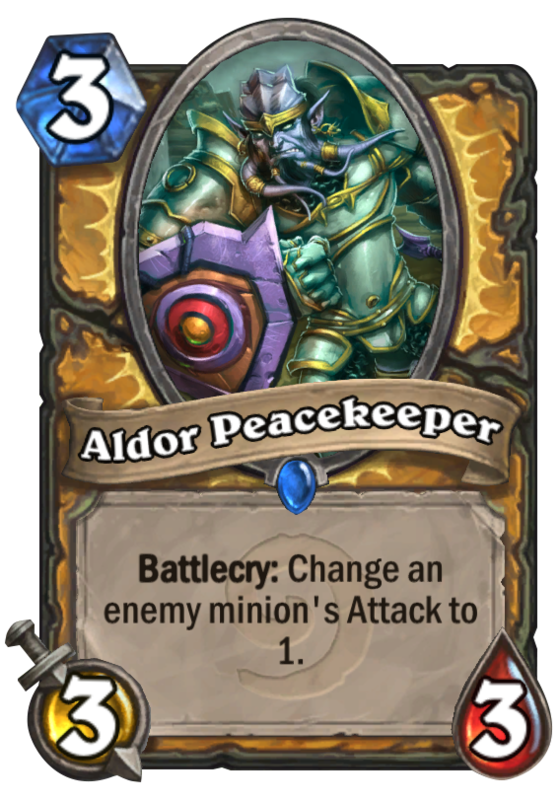 Battlecry: Change an enemy minion's Attack to 1. The Aldor hate two things: the Scryers and smooth jazz.